That is the unlikely starting place of a publishing revolution, for this was the day that Zion (the long-haired tattooed creature) and Vikki (his partner-in-crime with just as much hair and even more tatts) stalked Iain and Pat, who were just trying to get on with their day. It was their fault. On the back of the Iain and Patmobile was an advert for Iain’s latest book release, another in his popular line of biker thrillers. Zion spotted this and, next thing you know, was breaking their peace by bashing on their window. A bit more stalking around Tescos followed before a slightly more formal meeting where everyone probed the others’ intentions and book-based dreams. Fast-forward through all the boring stuff and, here it is, the fruits of those (now somewhat expanded) book-based dreams, BAD PRESS iNK. 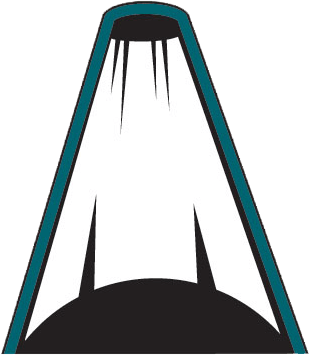 You can find out a bit more about the misfits behind this new take on the publishing world below. If you have gotten this far without throwing your monitor / phone / tablet across the room, you had better sign up for our newsletter. 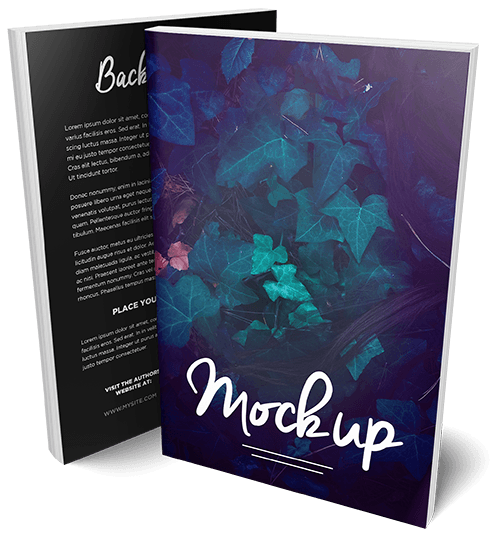 And if you are an author thinking that this place would be an ideal home for your precious manuscript, we have a submissions process which you can follow just by hitting the correct button. If you need more instruction than that, GET AWAY FROM THE INTERNET NOW, lest you break it. Iain imports industrial quantities of Class A drugs, kills people and lies (a lot) for a living, being a British based crime fiction writer, sometimes referred to as a cult. Iain became obsessed with motorcycles at an early age, taking a six hundred mile cross-country tour as soon as he bought a moped at the tender age of sixteen, and after working part time as a London dispatch rider, built his first chopper in his university bedroom, undeterred by the fact that his workshop was upstairs. Armed with an MBA, he worked in insolvency and business restructuring in the UK and Africa which inspired his first novel The Liquidator, a conspiracy thriller set in East Africa. Whatever you do, don’t take it as safari holiday reading. He then turned to ‘Biker Lit’ with his crime thriller Heavy Duty People, set amongst UK outlaw bikers in the North East and Borders. That turned into a trilogy, now optioned for TV. Heavy Duty Attitude and Heavy Duty Trouble followed after two of the characters unexpectedly met up again in his head and demanded he write them. Iain has now found that biker books are a bit like zombies, whenever he thinks he has them dead and buried, they just keep lurching back to life, only dirtier, bloodier and more violent than before as a further three books, Operation Bourbon, Lord of the Isles and DILLIGAF followed. Roadrash, volume seven of the trilogy, is due out through BAD PRESS iNK in 2019. 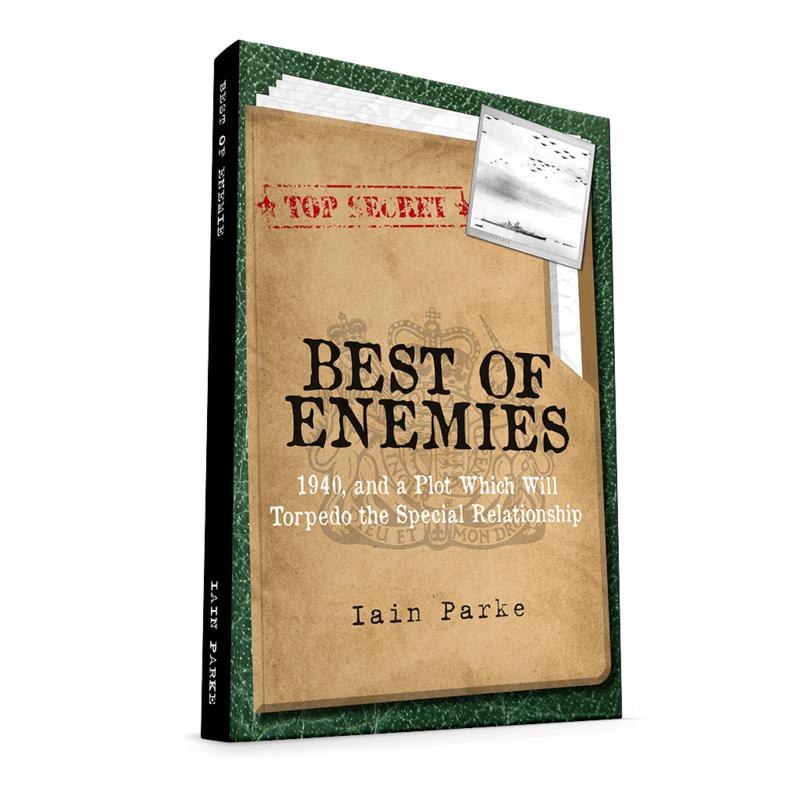 Iain returned to the world of politics and espionage with Best of Enemies in 2018, exploring the potential impact of a shocking World War 2 plot on modern day international relations. He currently lives up a mountain in the middle of nowhere with a garage full of motorcycle restoration projects with Pat, his partner-in-crime for more years than they admit to. Originally from North London, Pat has been involved in producing words and helping people get them right ever since she ran one of the first courses teaching the then cutting edge technique of word processing in the country back in ahem, before going on to found one of the UK’s first word processing bureaux. 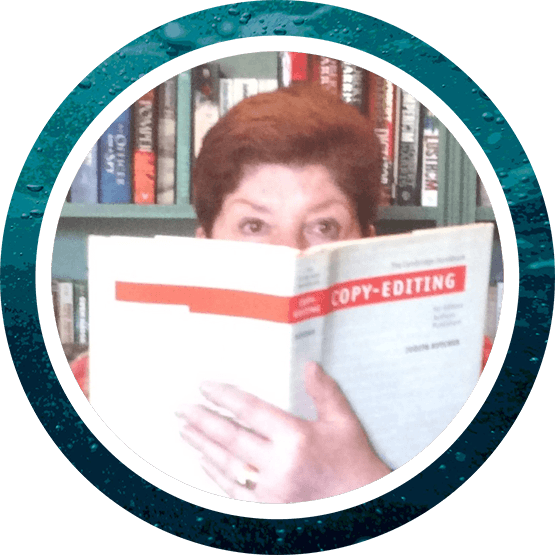 Her working life has involved training, office management, and word wrangling ever since including periods as a professional subcontracting copy editor and proof reader, working for individual authors as well as a London publishing house. 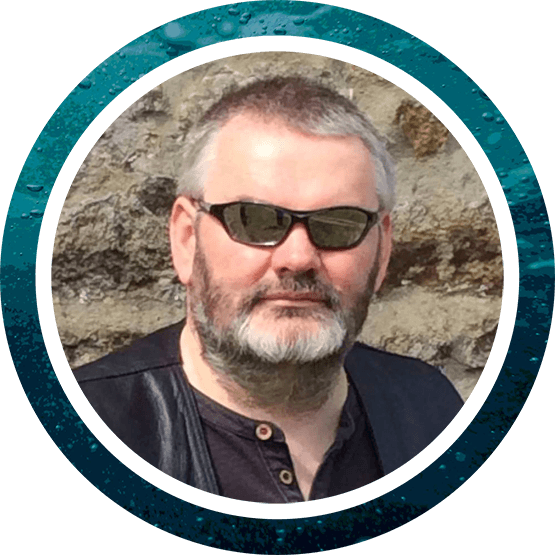 A compulsive and constant reader, Pat has a highly developed ear for what does, and doesn’t work in a manuscript and is able to give invaluable editing and structuring advice to help authors tighten and polish their work. Pat’s other interests include textiles and crafts and using her selling, organisational, and commercial skills has developed a successful North East based art and craft retail business. Pat currently lives up a mountain with a studio full of wool with Iain and their dogs. Eclectic range from the classics through historical fiction, sci-fi, comedy, detective/mystery, and just damn good writing. NO romance. 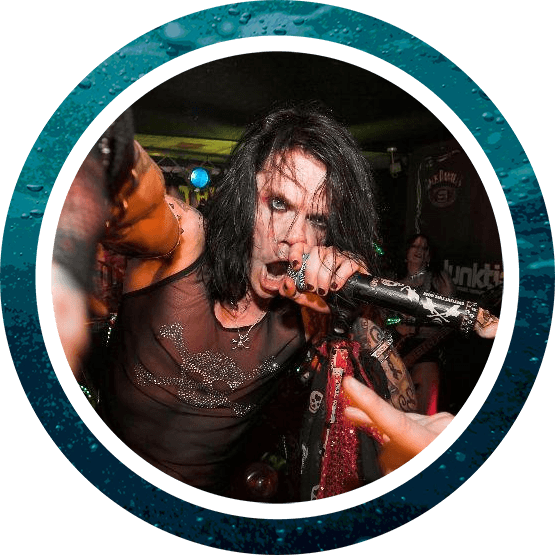 Probably best known as part of the international glam punk band SPiT LiKE THiS (2002-2014). As well as being a founding member and vocalist, he was the main songwriter and, as a result, Zion has 40+ published compositions to his name. The band released 4 EPs, 2 albums, a compilation album and numerous singles (hitting the Rock Top 10 / Amazon number 2); performed concerts around Europe (including many major festivals) and performed in several music videos aired on terrestrial TV around the world. Co-founder of alternative clothing brand, SMELL YOUR MUM, Zion designed the artwork for the (predominantly) T-Shirts and handled most of the online activity along with marketing. Started in 2002, the business was sold in 2018. Writer/Producer/Director of comedy horror, Meet The Cadavers. Other screenplays written include Normalityville Horror 2084 and Sleep. Has appeared in several low-budget horror films, co-writing and directing a segment within a horror anthology. 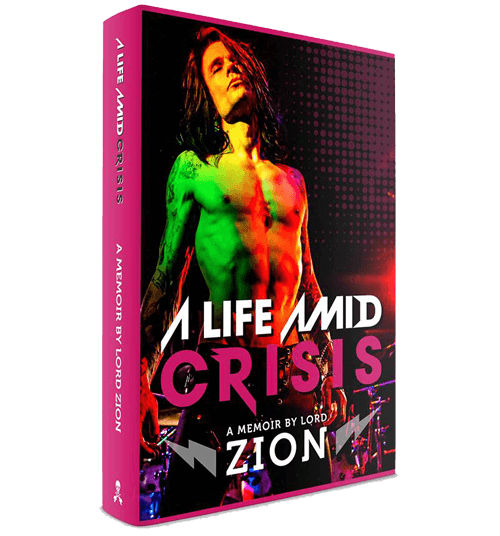 First book written and released in 2017 was a memoir titled A Life Amid Crisis which reached number 3 on Amazon’s Best Selling Music Biography chart. His follow up book Now What? is due for release 2018/19 through BAD PRESS iNK. More recently started a supplement company, WhatSupp?, and has his own range of supplements under the brand TANK Incorporated. Also buys and sells antiques/collectibles. Currently lives up a mountain in the middle of nowhere surrounded by animals and Vikki, his partner-in-crime for 18 years. 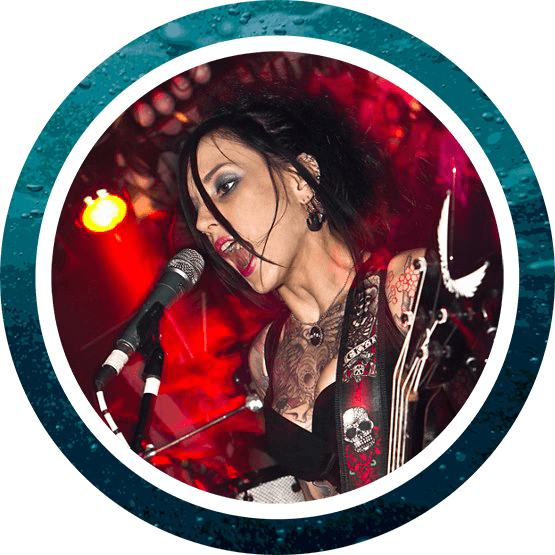 Founding member and bass player of SPiT LiKE THiS and has co-writing credits on several songs from the last album, including the show-stopping track Dead To Me Now written about a sacked guitar player. Co-founder of alternative clothing brand SMELL YOUR MUM where Vikki was the sole print-cess, knackering her thumb after an estimated 1,000,000 t-shirts made. Starred in the horror anthology Blaze Of Glory and had a main role in Meet The Cadavers, as well as being a co-producer. Since leaving the rock ‘n’ roll stage behind, Vikki has reacquainted herself with her childhood passion for horses having three of her own. She is part of Horse Charmers Worldwide and teaches Positive Reinforcement training methods to students around the world. Also designs and has manufactured her own range of bespoke bare back saddle pads under the Buck You brand. Currently lives up a mountain in the middle of nowhere surrounded by animals and a Zion. Varies hugely from historical fiction, sci-fi, comedy (satire/parody), detective/mystery, Zombie apocalypse-type stuff. NO romance. We would like to retain the information gathered here on a password protected hard drive for the purposes of keeping in touch and updating you with relevant information. This info will never be shared with a third party without your direct consent. By clicking ‘SIGN ME UP!’ you understand and agree to BAD PRESS iNK retaining this information to contact you.